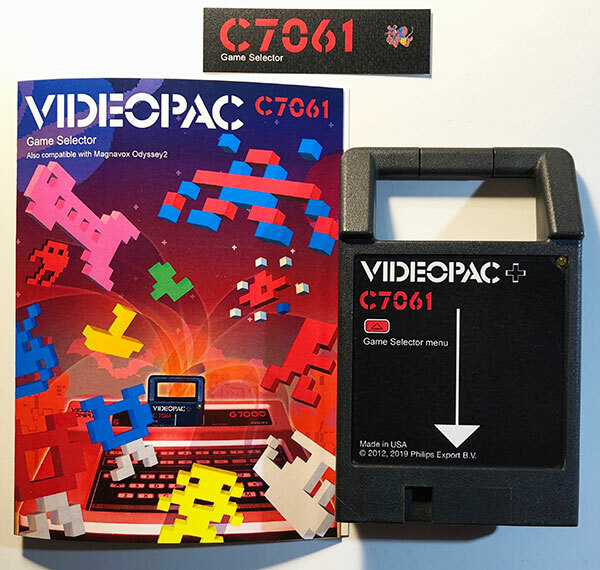 The Videopac C7061 Game Selector is what Videopac and Odyssey2 fans have been waiting for. 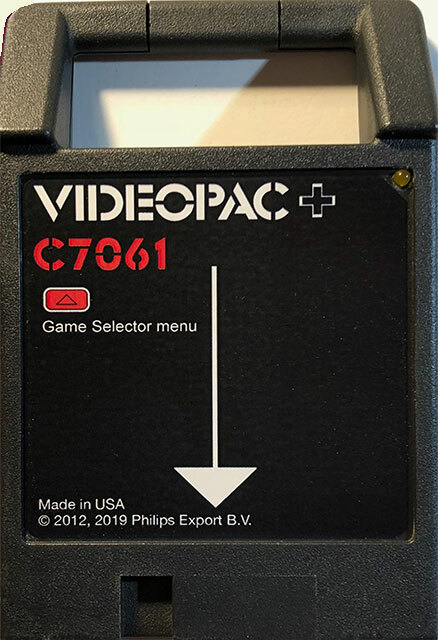 Created by Rene van den Enden, who has authorized this to be sold from Packrat, this cartridge contains well over 200 different games. 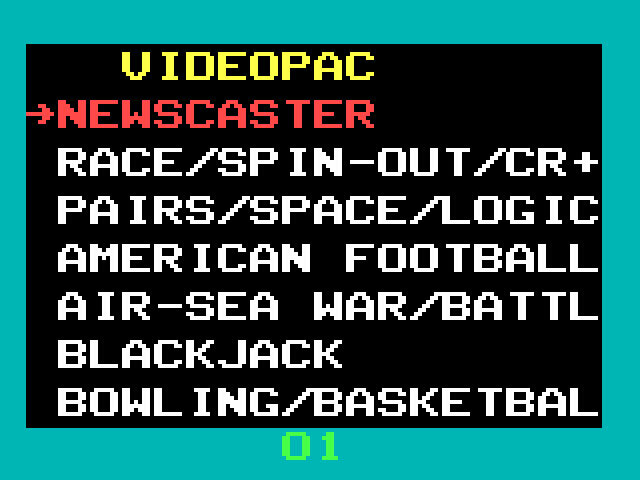 The C7061 Game Selector is menu driven, allowing you to select a game from a large collection of software available for the Videpac system. This cartridge also works on all Philips Videopac, Jopac and Magnavox Odyssey2 consoles. 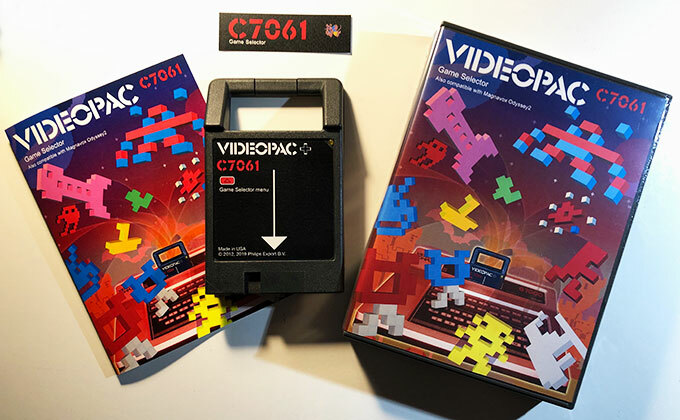 If you are a fan of the Videopac / Odyssey2, this cartridge will be something that will allow you to enjoy your retro hardware like never before. Contains more than 200 games. Contains all Philips Videopac and Magnavox Odyssey2 games, plus a large group of prototypes and homebrews. Contains several games that haven't been available before on a multicart (this cart has the power to handle these games). On-screen game menu for easy game selection. Works on all Videopac, Jopac and Odyssey2 consoles. Works with the Voice (with a few limitations). Automatic PAL / NTSC selection for some games. Brand new components use to create the internal PCB. Comes with or without a plastic case (for those that want to use a plastic Videopac case), instructions, game list, and cartridge. Comes with cartridge, manual (with game list), and plastic box with sleeve insert.